Constructed of heavy-gauge furniture steel, these bookshelves can each hold about 80 lbs (36 kg) and feature a chip-proof, powder-coated finish. Weight should be evenly dispersed over entire shelf. Shelves meet ANSI/BIFMA shelf standards. Each shelf is 36" wide × 17" deep (91 cm × 43 cm) and can adjust up and down in 2" (5 cm) increments. Includes 4 heavy-duty casters (2 locking), making this bookcase easy to move and reposition. 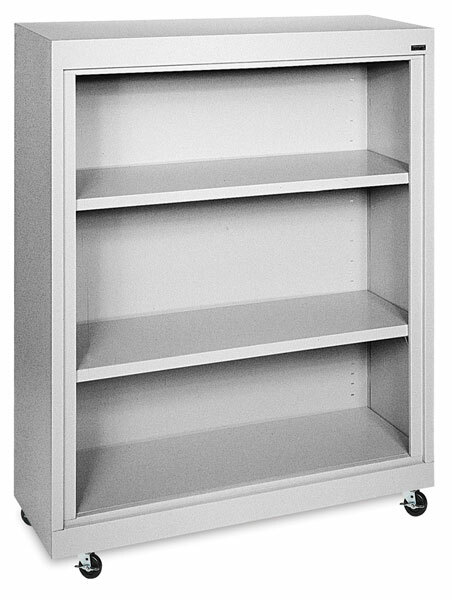 This bookcase is available in 5 colors and 3 heights to complement any décor.